After unpacking and showering, we felt refreshed and set off from the Hilton down George Street to Circular Quay, strolling to the Opera House and circumnavigating it while dodging other tourists and joggers. 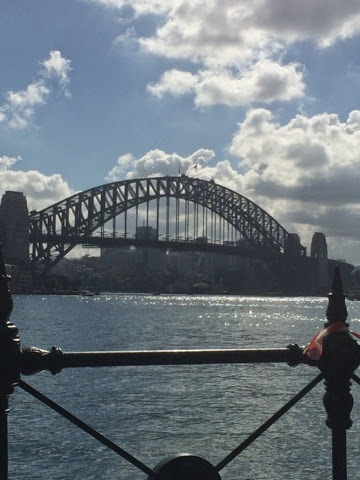 The views of the Sydney Harbour Bridge were terrific as well. 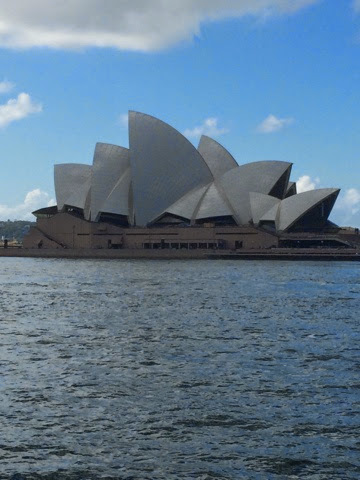 Built around 1925, it's referred to by the irreverent Aussies as The Coat Hanger, for obvious reasons. We're a bit surprised they don't call the Opera House The Orange Peel. 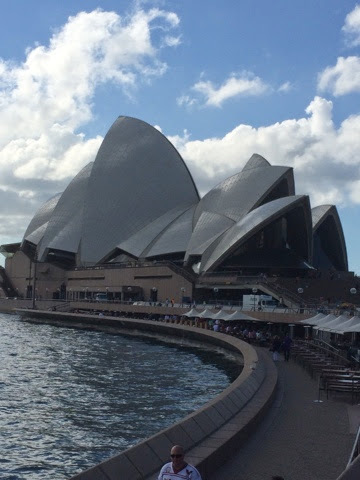 When we toured the Opera House a few years back, our guide said that its shape was the the most identifiable shape in the world. Perhaps that's why we continue to enjoy taking photos of it from all angles. What many people don't know is that this magnificent building could be considered a monument to government waste. The project was finished 10 years late at a cost of 14 times the original budget. The Danish architect who designed it eventually resigned from the project after conflicts with various political leaders over costs and control. He never set foot inside the completed building; indeed, he never returned to Australia. Despite all that, the results are truly amazing - at least we never fail to be impressed when we see it. 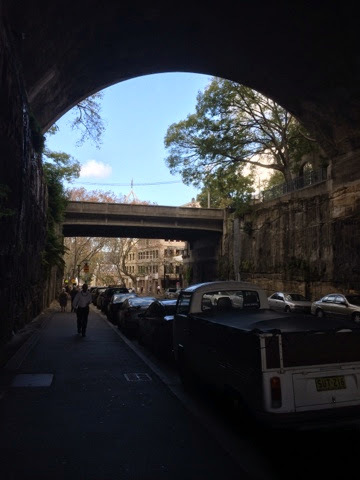 We walked back all the way around to The Rocks, and enjoyed the architecture as we made our way back to our hotel. A mid-afternoon lunch ('twould be a very late dinner at home) and some appetizers and wine in the Hilton Lounge this evening, and we'll be proud of ourselves for making it through the first day so effortlessly.